Paul first learn’t about fire performance when he was 20 years old. He was at his friend Dylan’s 30th Birthday party when Dylan came out of the house carrying a strange stick that he proceeded to set on fire and twirl around with great dexterity. Paul was immediately fascinated and took home the Fire Staff that same day and began to practice. Fire performing equipment is very difficult to come by and for the first couple of years Paul made his own DIY equipment and did many shows in his hometown of Bulawayo alongside Dylan and their other friend and performer Zuga. 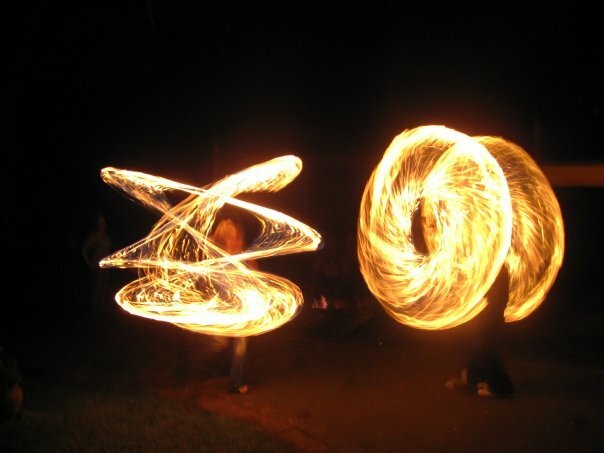 When Paul turned 22 his good friend Joey gave him his first “real” set of proper fire poi which Paul still uses now. To book Paul for a show go to Contact….